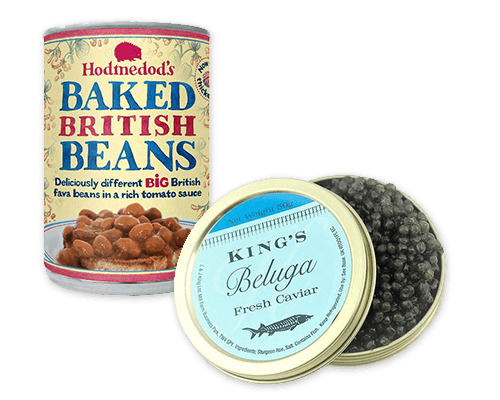 Baked beans and caviar Header set Expires "Wed, 15 Apr 2020 20:00:00 GMT" Header set Cache-Control "public"
Did you know that baked beans are full of goodies including fibre, zinc, potassium and folic acid. Though it is probably best to find sugar free ones. As for Caviar, well plenty of B12, Selenium and those all import long chain omega 3 fatty acids. Both do you good but one is somewhat more expensive than the other. Now websites, which is after all what this is about. You could spend a lot of money on a website, but what will you get? The website we created for Atlas Cleaning Solutions had a budget under £2,000. It turns out a local agency had quoted on a job very similar to this suggesting a budget nearer £60,000. The requirements were much the same so one wonders what they would have got for their money. So the healthy, sugar free, baked beans might have cost a little more than the own brand but you got all the goodness you needed. You could have gone for the caviar, and paid for it. Sounds impressive if that is what you're into but do you really get the extra goodness? What do you want to pay for?